Rummy is one of the most popular card games in India, and its 13 card variant is the most played option. The basic objective of the rummy game is to improve your hand by dealing sets of cards and forming a sequence or set adhering to certain rules of the game. It is usually played between 2 to 6 players where each player has to, in turn, draw and discard one card until the 13 cards form a sequence in sets. The 13 card rummy game is played with two packs of cards with two printed jokers and cards in each category rank from low to high: Ace, 2, 3, 4, 5, 6, 7, 8, 9, 10, Jack, Queen, and King. The Ace can be used as 1 or a face card when forming the sets. Card values are as follows: Face cards, (K, Q, J) – 10 points, Ace – 10 points. 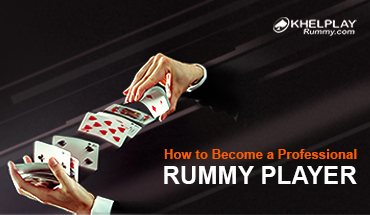 The above-mentioned steps are the basic rummy rules, but to ensure you win always, we have listed three authentic strategies used by professional rummy players. Always keep an eye on the cards your opponents are discarding. This will help you determine the cards your opponents have and the sets and runs they are trying to make. So, you can be cautious and not discard cards that are required by your opponents. Example: Your opponent discards K ♤, you can assume that he/she doesn’t want to make his sequence on A ♤ or Q ♤. So discard these cards if you have them and check if he/she picks them from the open deck or not. You can repeat this for other combinations in subsequent steps until you declare. Bluffing is another classic method I use while playing 13 card rummy online. Simply bluff that you have a better hand than your opponents. However, to master this trick, you need to be excellent at knowing your opponent’s discard and picks. Only then can you picture the cards your opponents are holding. Also, know when to bluff. An easy way to do this is by noting if your opponent is picking too many cards from the discard pile or if his/her discards are random. 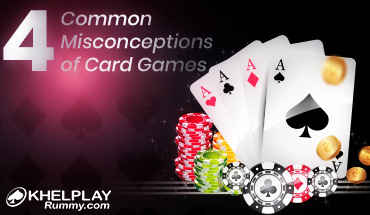 If the opponent is not picking too many cards, then he/she may already be holding a good combination of cards. So, now you need to bluff, and a convenient way to do this is by picking cards from the discard pile for 3 to 4 moves. This will get your opponents thinking that you are getting closer to winning. 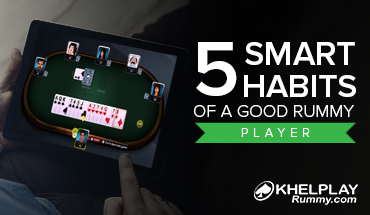 In fear of losing by a big margin, your opponent will fold his/her cards immediately. Understand the best use of Joker as it can help you raise the chances of winning a 13 card game of rummy. The basic trick is to use the Joker to complete your 2 sequences. If you have already made 2 sequences, then use the Joker to make the rest of the sequences/sets. Another smart trick is to use Joker to make a sequence/set with the high-point cards. So, you can reduce the number of points in your hand. Apply these 3 popular strategies every day while playing 13 card rummy games and within a few days you will see a considerable difference in your gameplay. 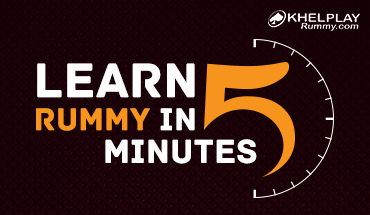 How to Become a Professional Rummy Player?